Today, I have just received 20) 24″ x 24″ and 20) 24″ x 12″ ceiling tiles and I am so excited to start working with them. Theses pieces will be a larger format but way fun to work with. 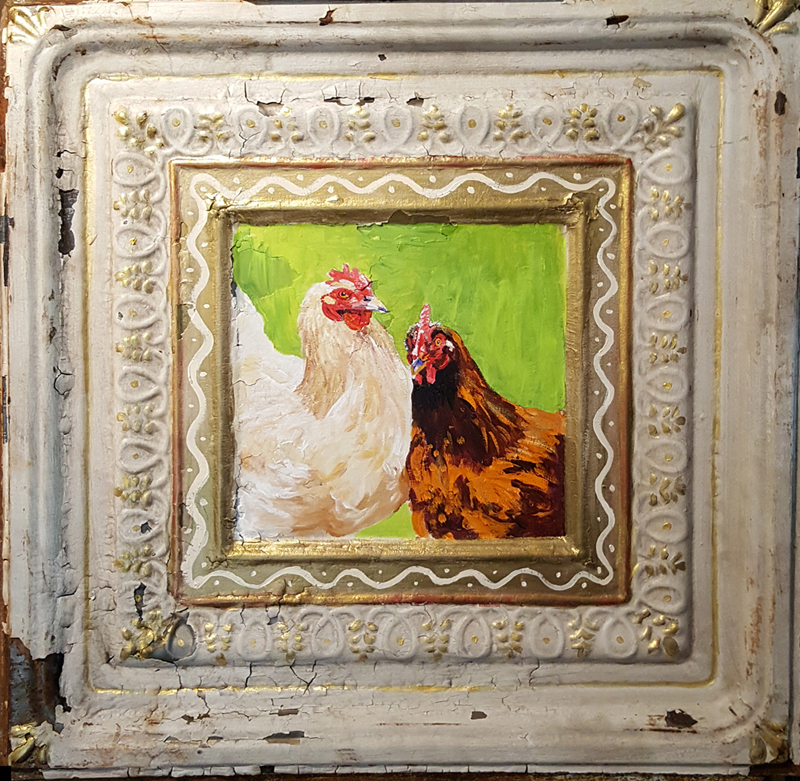 I painted and sold my piece “Cocoa and Lily” which was 24″ square and loved working with the tile. The outer ornate stamped design is fun to embellish with color a creates a natural frame. Stay tuned for the new pieces to come. I am still doing my commission requests and have many new ideas for future pieces. Applying to future juried art shows in NM, CO, and AZ so building up my inventory.